Missouri Education Watchdog: Local School Boards Not Needed. Will the US Dept of Education be Running Your School District? Local School Boards Not Needed. Will the US Dept of Education be Running Your School District? He's BAACCCKKK. 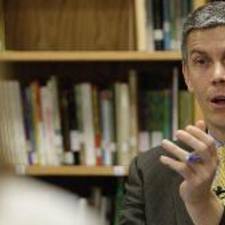 Tell your school district Arne Duncan should stay out of our states, districts and schools. If your district takes Federal money, go ahead and abolish your school board. A centralized system doesn't need/want local input. IMPORTANT! Some info about the new round of race to the top - district grants that are due on October 3rd. School districts who want to take federal money directly from the Federal Government and bypassing state agencies are listed below. What taxpayers, parents and legislators must understand is with money comes enormous strings. Why not just abolish state educational agencies and school boards if the Federal Government gives money directly to school districts? Forget about the constitutional authority of state agencies and local school boards. The US Department of Education is now directing local and state educational directives. Here is a list of school districts by state that have indicated that they intend to apply for RTTT-D funding: http://www2.ed.gov/programs/racetothetop-district/2013-list-intent-apply.pdf THERE ARE DISTRICTS FROM EVERY STATE on this list! There is a state and local comment period -- start working on the mayors or town administrators to influence their comments! "Each LEA included in an application must provide its State at least 10 business days to comment on the LEA’s application and submit as part of its application package: (a) the State’s comments or, if the State declined to comment, evidence that the LEA offered the State 10 business days to comment; and (b) the LEA’s response to the State’s comments (optional). Similarly, each LEA included in an application must provide its mayor or comparable official at least 10 business days to comment on the LEA’s application and submit as part of its application package: (a) the mayor’s or city or town administrator’s comments or, if that individual declines to comment, evidence that the LEA offered such official 10 business days to comment; and (b) the LEA’s response to the mayor’s or city or town administrator’s comments (optional)." This grant application also requires the signature of the head of the teachers union in the district-- they are sealing this one airtight. "Required signatures for the LEA or lead LEA in a consortium are those of the superintendent or CEO, local school board president, and (where applicable) local teacher union or association president." The town I come from Harrison, NY has applied and the town that I reside in Port Chester, NY has also applied.. The Port Chester Superintendent knew all along about RttT-D when we had our June 10 meeting! Completely Disingenuous!! I'm surprised that I haven't seen CCSD (Clark County School District;ie Las Vegas, Henderson, Mesquite,etc.) in Nevada on that list. We're the 5th largest school district in all of the US. Local school boards have been infiltrated by Progressive activists the same as local city councils. "Hey, gang! WE can get some money if we stick together and bypass the state legislature!!" But the local news outlets are tools of the Movement also. They constantly do puff pieces on the wonderfulness of cradle to menopause educational regimens prescribed by Big Ed.